Intense, excitable, and ambitious, the Year of the Red Fire Rooster rewards dynamism and discourages lethargy. It's time to manifest your dreams, even if the prospect is a little scary. Having the courage of your convictions will pay off in a big way in 2017. This Year of the Rooster lasts from January 28, 2017 - February 15, 2018. Roosters are famous for their punctuality, so the early bird will definitely catch the worm during this go-getting time. Loyalty is also linked with this sign. Abandoning an existing partner or client for another could be disastrous this year -- it's better to stick with what you know. If there are misunderstandings and tensions within a relationship, use 2017 to fix them. When it comes to business, "reduce, reuse, and recycle" should be the guiding principle of the Red Fire Rooster Year. Finding new uses for existing materials can generate huge profits. Be above-board and honest in all your dealings this year. The Rooster is famed for its principled beliefs. Exaggerated claims and broken promises will result in heavy fines and even lawsuits. As far as careers are concerned, tourism, entertainment, and law enforcement will get big boosts this year. Caring professions like nursing, landscaping, and animal care might encounter some challenges, though. With regard to health, pay special attention to the kidneys, bladder, and urinary tract during the Year of the Red Fire Rooster. Drink plenty of water to flush out toxins, lower the amount of salt in your diet, and limit alcohol intake for optimal health. Rooster Years make people opinionated and dogmatic. Arguments about religion, politics, and ethics can be quite heated in 2017. Beware of doing permanent damage to relationships at this time. It will be practically impossible to change anyone's mind this year, so adopt a "live and let live" policy when you're in mixed company. Channel strong beliefs into group endeavors that are devoted to your favorite causes. 2017 is a Red Fire Year, which means it will be characterized by pageantry, pomp, and circumstance. Flamboyant fashions will continue to dominate clothing stores. Formal parties and lavish ceremonies will be more successful than casual, quiet get-togethers. Break out the fine china, linen napkins, and monogrammed silverware. Make a big fanfare of happy occasions. The Year of the Red Fire Rooster urges all of us to strut our stuff in style! Discover what the Year of the Rooster holds for you personally with your custom 1-Year Ki Forecast. The most intelligent sign in the Chinese zodiac, you Rats will enjoy the many learning opportunities that 2017 brings. Acquiring valuable skills is the fastest way to land a lucrative job. The Year of the Red Fire Rooster is a terrific time to transition into another industry. Money won't be plentiful, so you should not make risky investments or take out loans. Aerobic exercise will have a good effect on you, since Rooster years reward those who are active and dynamic. Mixing with friends can also cultivate success. Although you're famous for your work ethic, career prospects may not be terribly exciting for you during the Year of the Red Fire Rooster. Holding down a steady job will generate enough money for both necessities and the occasional luxury, though. This resourceful time is ideal for you to open a retirement, savings, or college account. 2017 could reveal a hidden creative talent, provided you break out of your conservative shell. Your health should be good, especially if you don't tax your system with lots of spicy food, sugar, and alcohol. Your natural bravery will be rewarded in 2017, provided you set lofty goals and stay focused on them. Go after what you really want instead of hedging your bets. This rule holds true for work, money, and romance; playing it safe will be wasteful in 2017. The curious energy of the Rooster makes this a great time to take a new job or embark on a passionate romance. Respiratory problems could occur this year, though. Make sure to see an allergist or pulmonary specialist if you have trouble breathing, and regularly change the air filters in your home. The intense energy of the Red Fire Rooster Year can distress your tranquil nature. This could be a blessing in disguise. A shake-up at work could prompt you to relocate to an area where it is easier to find work. It may be necessary to go into debt to cover your expenses but don't panic. You'll be able to get back into the black later. Right now, you should pour most of your energy into maintaining good health. Spending time by the water can be very therapeutic. The Year of the Red Fire Rooster will be a wonderful enhancement to your natural charisma. Your managerial skills will be celebrated at work, allowing you to finish projects on time and under budget. It will be necessary to devise innovative products and services to generate a profit this year. Instead of buying new materials, use upcycled ones for a fraction of the cost. You may be promoted. Nervous tension can create health problems during this high-energy year. Practice relaxation techniques to avoid headaches and stomach problems. Stylish and wily, you'll have no trouble attracting admirers throughout 2017. The steadfast nature of the Rooster may not sit well with you, though. You'd rather play the field than make a serious commitment. Be clear about your intentions with a love interest. You will be able to move up the professional ladder, particularly if you present a polished image. Dress for the job you want instead of the one you already have. Make sure to go the optometrist for a check-up, as Rooster years can strain your eyes. Your independent energy will be rewarded during the Year of the Red Fire Rooster. 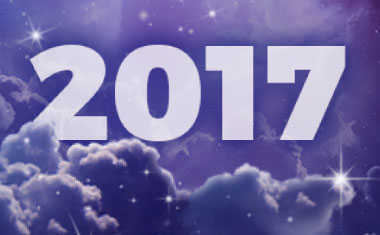 2017 is a great time to launch your own business or become a free agent. Getting a job that involves frequent travel could also be lucrative. If you work on a commission basis, you'll see handsome profits during this intrepid year. Take this opportunity to buy a status symbol you've been craving. This year puts a special emphasis on good nutritional choices. Fresh produce, lean protein, and whole grains will give you an attractive glow that's hard to resist. 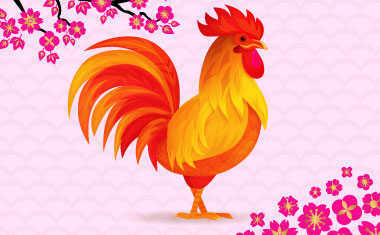 Thoughtful and reserved, you may be challenged by the frenetic energy of the Red Fire Rooster Year. It may be necessary for you to find a new job because your existing one will become unpleasant. Take this opportunity to land a position that draws on your considerable creative talent. Getting paid to exercise your imagination will be a welcome change of pace. Resist the temptation to dip into savings; it's better to be resourceful with money. A positive outlook will cultivate health and well-being throughout 2017. Quick thinking and curious, you'll enjoy the intellectually stimulating energy that the Year of the Red Fire Rooster affords. Although you won't get a promotion or high-profile job, you will acquire some valuable skills that will later advance your career. Extra money could arrive through a raffle or lottery win; a single ticket is all you need to reap big rewards. Your health could be compromised by bad habits like binge eating. Practice moderation to get the energy you need, and reap all the rewards 2017 can afford you. Flamboyant and charming, you'll come into your own in 2017. The perfectionist Year of the Fire Rooster invites you to be the best you can be. When things go wrong, turn your attention inward. Embarking on a self-improvement program will be more effective than putting the blame on others. Working as part of a team will bring you tremendous career success; don't be surprised if you are named MVP. Anemia could be a problem for you this year; taking iron supplements can prevent exhaustion from setting in. Your honesty will be rewarded during the candid Year of the Fire Rooster. Acting as a trusted consultant to an executive could be very profitable for you. Having a steady job will ease your tendency to worry about money. You could also make a great living with any job involving caring for people, animals, or plants. Health problems can occur in 2017 when you put your needs aside for the sake of others. Putting aside time for yourself each day will stave off stress-related illnesses like back pain and chronic infections. Your affectionate nature will be well received in the Year of the Red Fire Rooster. Everyone will be so anxious to get ahead; being in your relaxing company will be a welcome change of pace at this ambitious time. Pairing up with a dynamic partner could yield impressive profits for you. You may pick up several new clients or job offers as a result of this partnership. Loneliness can be a problem for you in 2017. Talking to a therapist could be very beneficial this year; don't bottle up your emotions.